The 87th Academy Awards took place last weekend and as the bright and beautiful arrived in Hollywood Teads observed reactions closer to home. 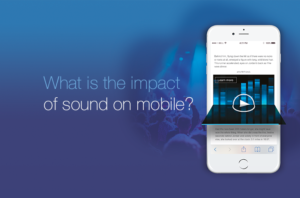 Using Teads Labs’ social listening tool we analysed Twitter reactions to the winners of best actor, best actress, best picture and best director. This analysis covered 48 hours of English, French, Spanish, German and Italian tweets, with some interesting take-outs. Boyhood and Michael Keaton lost at this year’s Oscars, with many Twitter users feeling that they’d missed out. Perhaps this German tweet sums up the resounding disappointment for the choice of best picture: In 100 years time, what are people going to remember – Birdman or Boyhood? The best actor and actress winners received general enthusiasm, despite British actor Eddie Redmayne being little known in some regions (such as Germany). As well as their performance, both Julianne Moore’s and Eddie’s speeches, outfits and looks were commented on. Michael Keaton and Rosamund Pike were also praised by the public. France once more represents “l’exception culturelle”: while English, German, Italian and Spanish users voted for Boyhood as best picture, Whiplash would have been Francophones’ preferred choice. 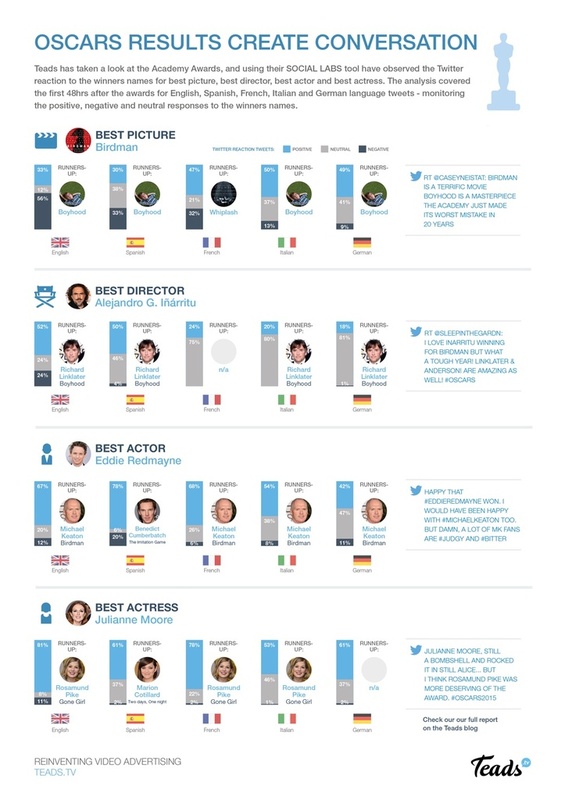 Spanish users were also unique in their choices, as Benedict Cumberbatch and Marion Cotillard were Spanish Tweeters’ man and woman of the night. Spanish-language tweets also reflected the general excitement about Alejandro Iñárritu’s victory as best director, with Mexicans particularly proud of this national achievement. With the Oscars being the event in the film calendar, the choices made by the Academy are always a topic of comment, and the winners’ speeches encouraged social and political change. 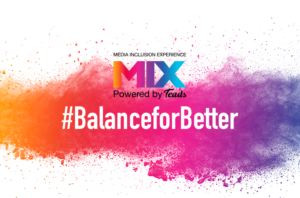 In Germany, Italy and Spain there were positive reactions to Patricia Arquette’s speech which called for gender equality, as well as a Mexican director winning 2 years in a row and films that tackled difficult topics like disability and Alzheimer’s disease. As 2015 films are being released in movie theatres globally – their buzz, ‘conversation’ and box-office targets being met (and missed) we’re already looking forward to see which titles garner a 2016 nomination.